Monika welcomes a new artist to her roster: the Finnish producer and composer ISLAJA aka Merja Kokkonen. 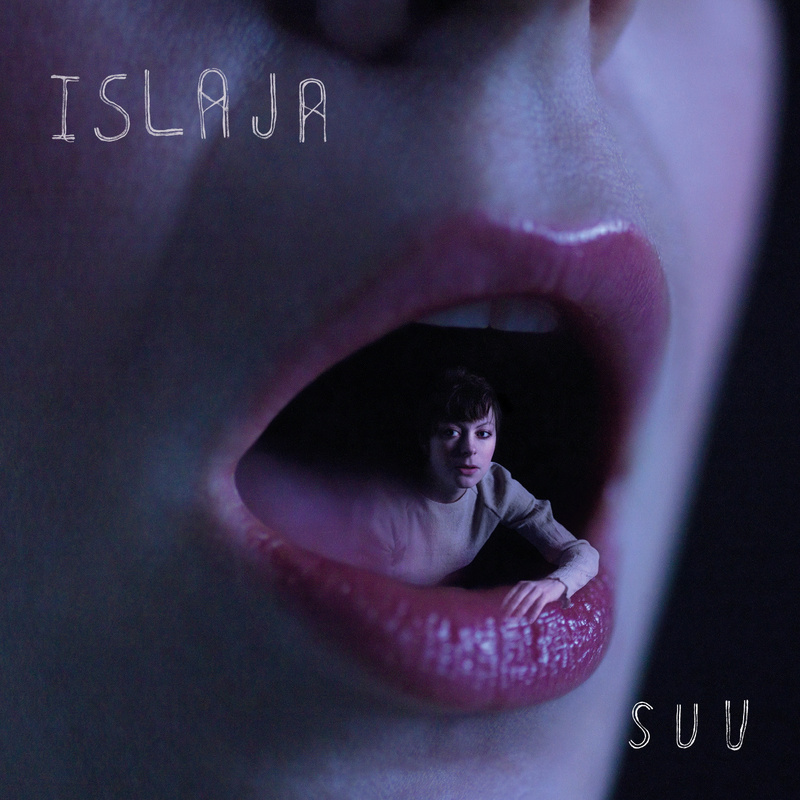 The new ISLAJA album marks a radical transition for the former folk musician into a solo-artist who skillfully arranges lyrics, melodies and imagery into a much more electronic style than she has been known for in the past. The album is called S U U which is Finnish for “mouth”, and ISLAJA's bold vocal style and lyrical content will make you want to tune in to what's coming from her S U U. ISLAJA has been part of the contemporary music scene for several years already producing wonderfully arranged surreal pop-tracks in her solo work as in Keraaminen Pää 2010 as well as in collaboration with other musicians as the Hertta Lussu Ässä project in 2011, released on De Stijl (USA) or recently as a contributor to AGF's Kuuntele compilation in 2013. In total she has previously had four full length albums on Finnish label Fonal plus one on Thurston Moore's Ecstatic Peace! Records. Still, so far it has mainly been insiders of the underground music scene that have been familiar with her work. Her music is associated strongly to the D.I.Y. scene so represents a prime example of a female musician who has developed a singular musical and aesthetic expression. Somehow ISLAJA fits to these new modern female acts such as Anika, Nitejewel and Yula - even if their styles are all quite distinct. Now with her fifth album appearing on Gudrun Gut's monika enterprise in spring 2014, the latest activities of Berlin based Finnish pop-musician ISLAJA have shown a surprising change in style and sound. S U U was coproduced and mixed by fellow Berlin resident Heidi Mortenson. The record's development is firmly rooted in the city. The songs on S U U are so full of surprises one doesn't really know what to expect next, so her current metamorphosis falls right in line with ISLAJA’s nature. While mystical aspects were mainly expressed in older work through lyrics with strong links to Finnish mythology, they now appear on the compositional level and in vocals driving the beats into forward moving tracks ever permeated with a sensation of the unreal. The low-pitched voice is somewhat reminiscent of the late great Nico, and the presence of synthesized sounds also evokes references to 80s New-Wave and Pop. Nevertheless ISLAJA`s work is by no means retro, rather it creates a unique and unusual atmosphere. Her sound is as intriguing and humorous as it is original.